Mark and Greg Tobin are out to beat their 22nd overall and sixth in Division 2 of last year with After Midnight. 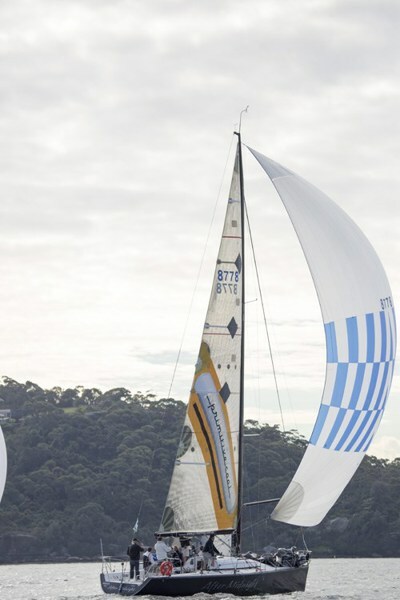 Based on their 2014 Hobart race result of a brilliant fourth overall, second in Division 3 and sixth overall in ORCi for a Division 2 win, the brothers are well on track after buying the yacht from Melbournian John Newbold, who had owned her for two years. Before Newbold, owners Ed Psaltis and Bob Thomas won the CYCA’s Blue Water Pointscore Series for 2006/07 and the Short Ocean Point Score in the same season with the boat they named AFR Midnight Rambler. They also won the Gold Coast Race overall in 2009 and were divisional winners three times. Bob Thomas, who obviously knows the boat back-to-front, will join the Tobins for the race north, and he may prove to be their saviour.